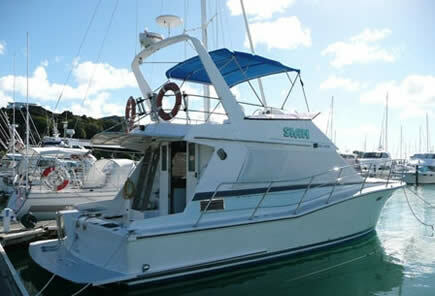 ​Skipper a bareboat launch for 2 or more days out of Auckland’s iconic Hauraki Gulf. If you aren't looking to bareboat (skipper the boat yourself) there are skippers available. Explore the Hauraki Gulf with family and friends. Launch Sian comfortably sleeps 6 people on board. “Bareboating” is a typically Kiwi word used to describe chartering and skippering your own vessel. 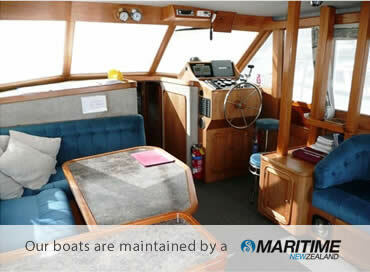 In our case we have the finest launch in Auckland available for charters of 2 or more days. Skipper your own launch with an introduction from our experienced team or hire a skipper to take you on your charter. We focus on helping you chart your own course, rather than restricting your freedom on the launch. Explore Auckland's beautiful Hauraki Gulf. Visit Waiheke or Kawau Islands, the Coromandel Peninsula or Great Barrier Island or the Bay of Island, the Cavalli Islands or up to Whangaroa harbour. Sian is an 11.6 metre Pelin Challenger. She is a planning charter launch powered by a 350hp Caterpillar diesel. She has a comfortable cruise speed of 13 kns and maximum speed of approx 16kns. October 1st to March 31st. $980.00 per 24 hour day. $850.00 per 24 hour day. Our launch Sian is maintained by a team with over 40 years of boatbuilding experience. She is constantly being refitted, reupholstered and improved. Maintenance and safety are our focus, leading to a spotless safety record and smooth voyages for all of our bareboat customers. Our bareboat charter launch can reach all of Auckland's most beautiful maritime locations. 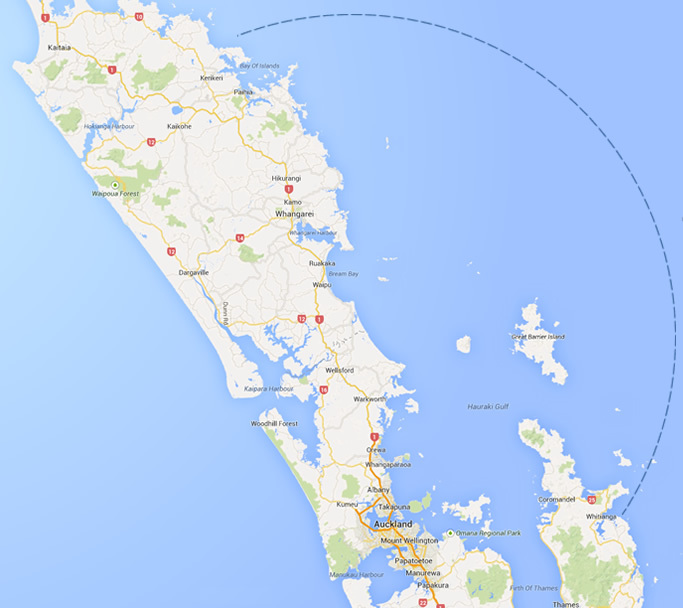 Bareboat to the East side of the North Island as far as Whangaroa Harbour as far as South as Whitianga and out to Great barrier and the 12 Mile Zone. Formal qualifications will be helpful and may lower the Bond payment. We need to know you will be safe on the water and in control of vessel Sian. We will assess your qualifications and proceed accordingly however you will need to be able to demonstrate competent experience. What happens if the weather is rough during my booked period? You can book another time, no worries at no extra expense, any time over the next 12 months. Can I Inspect Or See The Boat First? Of course, you can arrange a time with us to inspect the boat. Almost everyone who inspects our boat chooses us over the competition. Is The Boat Licensed & Certified? ​Our launch is licensed under maritime NZ, we have modern industry standard safety equipment and are always available for questions, a manual is on the boat for minor questions and all sizes of life jacket are supplied. Bareboating is a Kiwi tradition, a way of saving money on charter launches. It's a perfect way of freely navigating around Auckland's harbours and beyond. Bareboating involves chartering your own boat and providing all the crew and provisions. We supply the boat and you supply the skipper & crew. Some basic training is required, as is a basic grounding in seamanship.